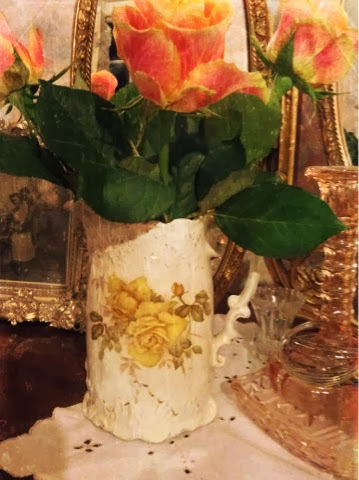 My hubby caught me drooling over this little vintage jug months ago. As the story goes, it's not how much you spend... It's the thought! This is the biggest token of love! Hope you've all had a good new year! Labels: Vintage jug. Vintage roses.